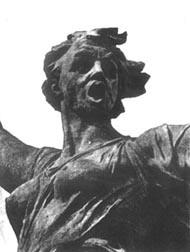 'Mother-Homeland', Monument to the Heroes of the Battle of Stalingrad at the Mamai Mound, Stalingrad. Labour Movement in India as Reflected in the Indian Labour Year Book 1997, C.N. Subramaniam. Planter Raj to Police Raj, Sanjay Barbora. Marxism and Mr. Bettelheim, Sunil Sen.
Mumia Abu-Jamal and The World Proletarian Revolution, Ray O. Light. The Class Essence of the War in Chechnya, Proletarskaya Gazeta. Interview: The Revolutionary Struggle in Ecuador, Pablo Miranda. The Transition in Western Sahara, Jagdish P. Sharma. Fourth International Seminar on the Problem of the Revolution in Latin America. Resolutions of the International Conference of Marxist-Leninist Parties and Organisations Held in April, 2000.